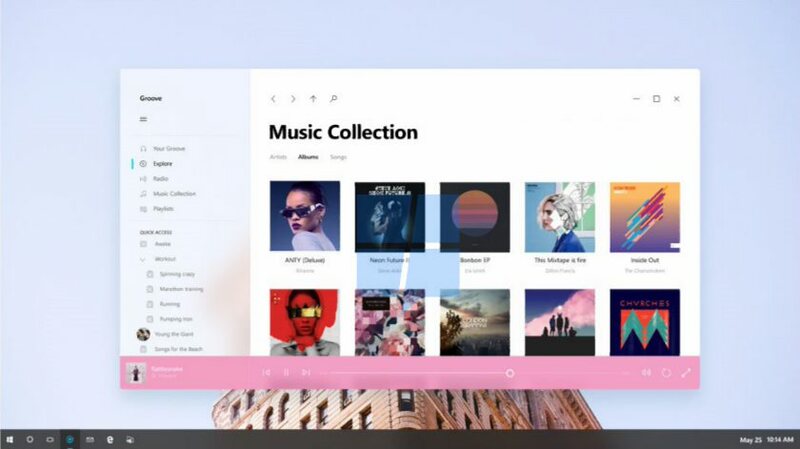 Today, Project NEON interface for Windows 10 Redstone 3 leaked. Project NEON is new upcoming UI upgrade for Windows 10. 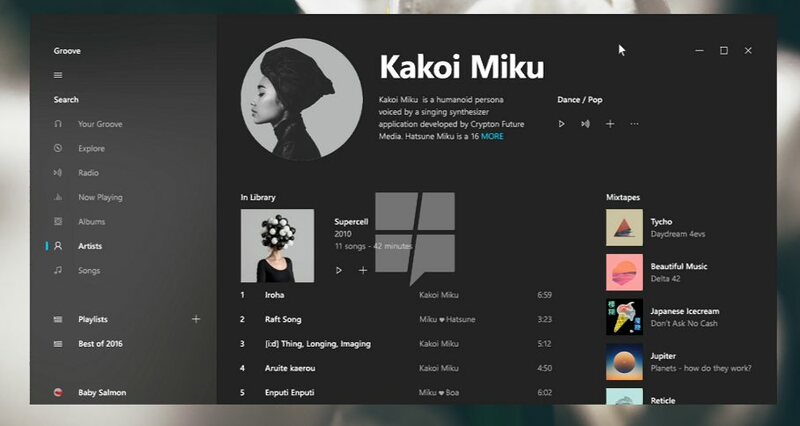 Microsoft’s Project NEON will push more animations, simplicity, and consistency to Windows 10. We could also see Windows 7 Aero Glass-like effects with Windows Phone 8 style animations. “Acrylic” will be a new component for Windows 10 design, which is essentially blur in the background, sidebar or the navigation of the app. These are known as “Side-Nav Acrylic”, “Background Acrylic” and “In-App Acrylic” respectively. Microsoft demoed a new Conscious UI and Connected Animations in its internal concept videos. The internal concept video shows the Groove Music app in action. The new “Side-Nav Acrylic” effect in the Groove Music app changes depending on what’s behind the current app. Also, there is a new effect when the user moves the window. 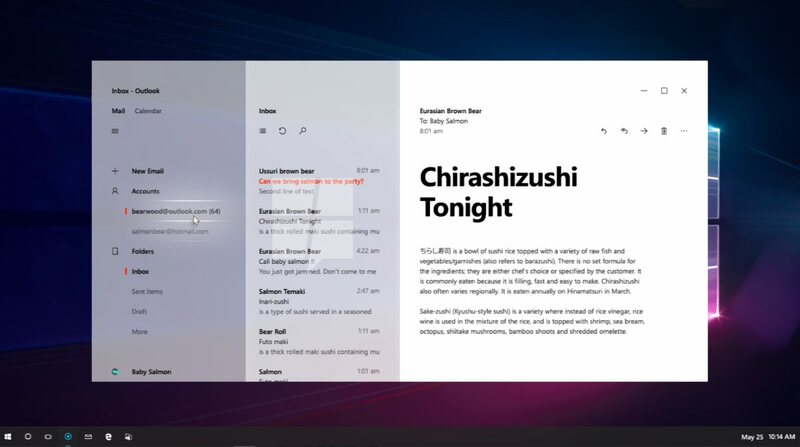 The video shows another concept of the Outlook Mail and Calendar app. We can see the sidebar with a blurred background, and all the other basic elements that seem to follow a consistent design. Project NEON will also focus on 3D and HoloLens interactions. The concept video shows, hovering over a navigation item or element shows a backdrop to make it feel like a natural interaction. On a PC, the background color will follow your mouse’s pointer. But on a HoloLens, it’ll presumably follow your gaze or HoloLens’ clicker. Currently, these are only concepts, which shows Microsoft’s vision for upcoming interface changes in Windows 10. Things will get clear after the release of Windows 10 Creators Update in April.